Window’s Blue Screen of Death was the tech world’s joke du jour for poking fun at Microsoft’s crash-friendly software, and while many believed the blue screen had finally died, it looks like Windows Phone is carrying on the proud tradition of the horrific error notification. 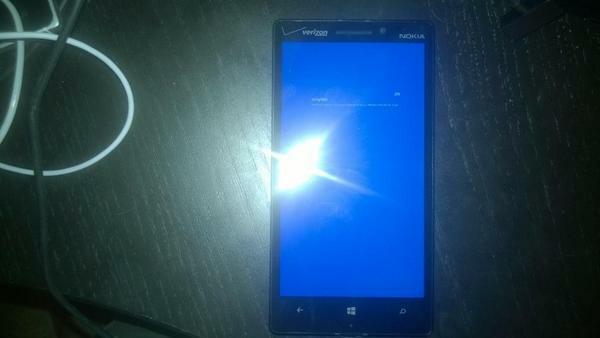 Ars Technica tech editor, Peter Bright tweeted the picture above of his Nokia Windows Phone with the fatal error screen. Other Twitter users have also posted shots of their Windows Phone afflicted by the BSoD ‘process initialization failed’ error. The Blue Screen of Death has been around since the days of Windows NT and was updated to include a sad face emoticon for the disastrous release of Windows 8. Microsoft is uniting its mobile and desktop operating systems with the upcoming release of Windows 9, but rather than coming up with a new error screen, it looks Redmond decided it’s still better than an insanely annoying spinning beach ball.